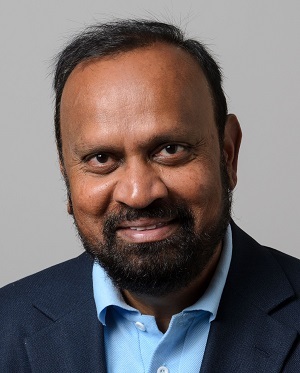 The Board of Trustees has named Sanguthevar Rajasekaran a University of Connecticut Board of Trustees Distinguished Professor, the highest honor that the institution bestows on its faculty. Established in 1998, the award recognizes faculty members who have demonstrated excellence in teaching, research, and service. Rajasekaran joined the computer science and engineering department in 2002 and currently serves as the United Technologies Corporation Professor of Computer Science and Engineering. According to an article in UConn Today, his numerous research contributions have advanced knowledge in the areas of applied algorithms, big data, bioinformatics. Rajasekaran was instrumental in the development of a website tool, the Minimotif Miner (MnM), which allows researchers to search a given protein for hundreds of amino acid motifs that may be associated with diseases such as Creutzfeldt-Jakob disease. The tool is used by biologists worldwide. Author of more than 300 research articles, Rajasekaran’s studies have garnered more than $18 million in funding, most from the National Science Foundation (NSF) and the National Institutes of Health (NIH). Two textbooks that he wrote have been translated into several languages. Rajasekaran has graduated 23 Ph.D. students and published research articles with undergraduate students. He won the School of Engineering Outstanding Teacher Award in 2004 and the Outstanding Computer Science & Engineering Faculty of the Year Award in 2005. Within UConn, he has served on many key departmental, school, and university committees. Since 2005, he has served as the director of the Booth Engineering Center for Advanced Technology.